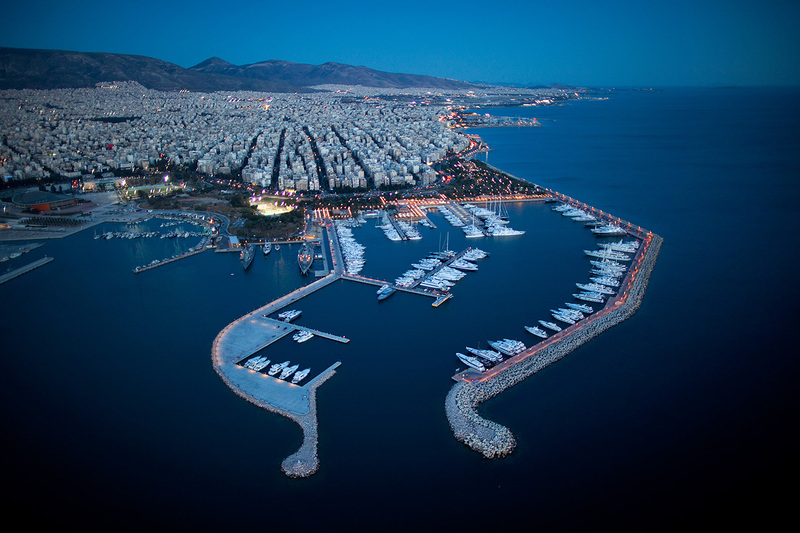 Arrive in Athens for the start of a wonderful charter vacation. After a short safety drill, it’s then time to set sail from Athens down to Corfu via the Corinth Canal to Agkistri. The afternoon could be spent diving into the calm waters or try out one of the yacht’s many exciting water toys. You can always take the tender to the island and relax on the beautiful beach. Agkistri (also known as Agistri or Angistri) is a gorgeous pine-covered island which forms one of the Saronic Islands. Skala is where one of the best beaches can be found, it’s a huge town offering bars, cafes and restaurants for guests’ entertainment. Take a leisurely lunch before preparing for departure. Zakinthos is the next stop via the Corinth Canal. This canal was completed in 1893 to connect the Saronic Gulf to the Gulf of the Corinth. It’s 3.9 miles long where the captain has to negotiate the vessel through a narrow gorge way. The canal is 21.4m wide at its widest point and requires lots of skill to sail through it. It is however a wonderful experience when you eventually get to the other end. The journey through the Corinth Canal takes about 45 minutes then it’s full throttle to reach Zakinthos to arrive by the break of the next day. As dawn breaks you will arrive at the shipwreck beach of Navagio. It’s thought to be the cove where the old smuggler ship Panagiotis is resting. It’s a wonderful place to see first thing in the morning before other vessels and the locals sail in. Staying here for a few hours the captain then sails to Porto Roma, a private beach in the south of Zakinthos. The Olympic Bar and Restaurant or Cambi village where the tavern Toy Pappa is situated, is the next stop. The restaurant has wonderful, breath-taking views right across the Ionian Sea. Day 3 is for relaxing under the hot Greek sun. Cruise past empty anchorages around Gidaki beach, have lunch on board or ask the chef to organise a picnic so you can eat on the beach. At the setting of the sun, sail onto Ithaca. After dropping anchor the captain will ask if guests would like to go, by tender, to the main town on the island, Vathy. The town is a Traditional and Preserved Settlement and was declared so by the Greek authorities in 1978. It’s a sleepy, laid back island with a wonderful relaxing atmosphere. After an enjoyable breakfast, it’s full steam ahead cruising north towards the pretty island of Kafalonia. Arriving in Myrtos Bay you can see lush green hills, enormous cliffs and stunning turquoise waters. Spend the day sunbathing, reading a novel or do a little exploring. When evening comes, sail to the lively fishing village of Fiskardho. Let your onboard chef have the night off, dine in the village sampling some of the fresh fish caught that morning. To the east south-east of Lefkada is a group of islands of which Meganisi is one part. It’s a scenic island with gorgeous villages and impressive architecture. It’s a popular stopover place with yacht charterers. Spend some time in the busy town of Nidhri which is also part of the Lefkada Island. There’s an exciting water park close by, great fun for the children and adults alike. Day 6 is spent in and out of the bays of the delightful islands. Paxoi has many anchorages and is one of the most splendid ports in the Greek Islands. The capital town of Gaios is an ideal place to spend the night with its laid-back atmosphere and friendly locals. Experienced seamen have been baffled with the stream currents that can be found around Paleokastritsa. Water temperatures often feel a few degrees cooler than in other parts of the Greek Islands. The sunset here is absolutely spectacular, so don’t miss it. As the last day comes around, top up your tan in the bay at Sivota. The next part of your itinerary is to sail to Corfu and visit the Corfu Yacht Club. Spend the evening with the crew for a memorable evening of enjoyment or alternatively head for the shore. Have lots of fun on this very vibrant island before it’s time to return home.